Hello Friends! Tonight’s feature image is titled “1952 MGDT “. If you would like to purchase a copy please use the contact instructions at the bottom of the page. As Winter draws to close I have started to think about cruising through my mountains with the windows down and the fresh air filling the vehicle. My big blue truck really fits my personality but there are times when I would love to have a convertible! Not just the windows down but the whole top open. Of course being tall means that’s not always practical. Several years ago I was driving my brother’s convertible and discovered that the top of the windshield was right at eye level and I had to sit up very straight in order to see where I was going. My dad was cracking up because he thought that I looked like a cartoon character with my great big giant head sticking up above the car. I may have looked odd but the sensation of the wind on my face was awesome! It didn’t take long for me to figure out that had to have my sunglasses on to provide a windscreen but it didn’t diminished experience not one little bit. Moreover, I considered it to be an enhancement to the trip. But that was in a K car. What’s really needed for a classic cruise is a classic car like the 1952 MDGT in tonight’s feature image. It’s said that British made MGDT is the vehicle that started American love of sports cars. Is there any doubt about why? Curved fenders, an awesome paint job and just the right amount of chrome. This wasn’t just for getting you there, it was getting you there with style. The open cockpit being the ultimate statement to freedom on an open road. It’s not about driving but about traveling with nothing to separate you from the experience. Yeah, you could go fast if you choose to but that’s only going to get you there faster. No it’s an experience to be savored like a fine meal. Every dip in the road and every curve is to be appreciated to the fullest. When the sun goes down and cool evening air carries the sounds of the frogs and crickets a classic convertible is perfect for pulling over and watching the night sky for shooting stars. And that’s even better with someone that you love in the passenger seat. Yes that’s it. The ultimate warm weather cruise is great in a classic convertible but it’s not perfect unless it’s shared. That classic car has a passenger seat for a reason and life is journey that’s best when shared. The Spirit Of The Road. Tonight’s Feature Image is titled “Old Timer 1” . If you would like to purchase a copy please use the contact instructions at the end of the article. I was never really the kind of guy who could tell you the exact make and model of a car. I can’t give you all the specs of the engine or transmission. But what I can tell you is about the spirit of the road. Not the daily doldrum of commuting but the freedom of exploration. The ability to get away from the daily grind and take a route that you’ve never really experienced even though you may have passed through. The spirit of the road is the windows down and the music loud as you cruise along without a care in the world. When I was a kid we still had roadside parks with picnic shelters for those travelers who are ready for a break. There used to be wide spots on the berm of Route 60 going up Gauley Mountain that were not “official” overlooks but gave stunning views of the New River Gorge. The spirit of the road is a small diner at the intersection of two interstate highways that serves the best ever monster sized hotdogs and the small service station that still has an attendant who comes out to fill your tank and check your fluids. Finally, the spirit of the road is a shortcut that leads back home. More Thoughts On The Changing Technology And Driving. Every once in a while I’m transported back in time. I see or hear or smell something that strips away the high tech digital world of the present. On August 4th 2016 I could have sworn that I was passing through some kind of time slip. I have posted about the Shay Reproduction Roadsters before however for those who don’t know these are antique car design with modern modern materials. The Aesthetics of the older vehicles bring to mind thing like the feel of fine leather upholstery and the smell of wood polish. There was a time when people drove for the pleasure of the open road and not just going from point A to point B. There was an age when a person’s time was their own and a craftsman was appreciated for the quality of his work and not just the sheer volume of production. The artistry in the architecture blended with craftsmanship and skilled hand gave life to the machine. Mass production made them affordable but each piece had its own personality. We gave them names and made them members of our families. When the older ones began to break down we learned how to repair the machine and extended it’s lifetime until there was no choice but to let it go. As I look towards the future of the motor car I can see a time when Artificial Intelligence just might have the potential to deepen our connection with the vehicles. I can imagine how smart cameras embedded in car will recognize our faces and the cars will know our names. When it will learn our routine and wish us a good morning as we step out of the house. There will be lots of bells and whistles. There is already cars with Wi-Fi networks to keep us entertained. Advanced warning systems to keep the driver from changing lanes at the wrong time and cars that drive themselves are becoming more and more common. But, in all of the wondrous technology that is on the rise I have to admit that I will miss the simple pleasure climbing behind the wheel just driving. Hello Friends and thank you for your support of my page. All of your kind words have been a great blessing to me! If you have enjoyed the photos or the writings please let me know by continuing to comment and sharing my work on your social media. 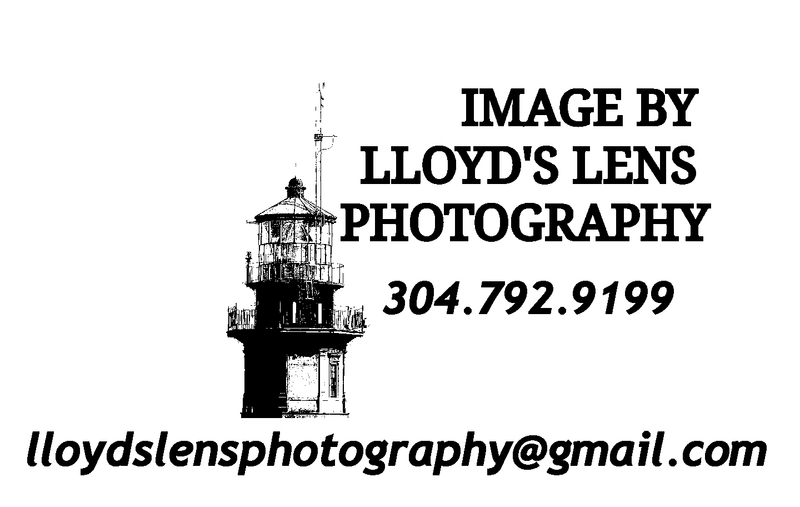 If you’re not already following Lloyds Lens Photography on Facebook just click the link hit like. If you are not seeing the daily posts in your feed then you can sign up for an email subscription on my Home page. Tonight’s Feature Image is available for purchase in sepia, black and white or color. Just message me with the Title “Shay Reproduction Roadsters 2” and let me know what size so I can reply with a quote. You can use the message button on Facebook or the Contact Form on my website. You climb in and slip behind the wheel. The key is already in the ignition and the engine roars to life. The ground shakes in time with the pulsating pistons. The sheer power rumbles throughout your body. One hand on the wheel and one on the stick as you feather the gas pedal and drag the clutch. A young girl steps out between the two cars and shakes the bandana from her hair. You glance at your opponent only long enough to make eye contact and then back to the bandana raised high in air. Two. Find that sweet spot in the clutch and rev the engine. One. Release the clutch and give it all she’s got. Thick clouds of smoke roll out from the tires and the smell of hot rubber saturates the air. The inertia holds you tightly in the seat and you become as much machine as you are human. The wind whips through your hair as you check the mirrors. The car in the mirror fades into a tiny dots as the motor winds out to full power. You have already passed the finish line. You allow the car to coast a little before brakes are applied. You turn the car around and meet your opponent still coming the other way. The sportsman like thing to do is congratulate him on a race well run and wish him better luck next time however you’ve beaten him so bad that it would be like rubbing salt in an open wound. He avoids eye contact and it’s just as well. Back at the starting line the crowd cheers as you exit the vehicle and collect your prize. A single kiss from the girl with the bandana. About tonight’s image. The truck is part of another old drilling rig. This one is in Victor, West Virginia. It’s been in this spot for as long as I can remember. I have watched it erode away from the effects of time and I suppose it was that observation that inspired tonight’s post. I have been thinking a great deal about the passage of time and the true nature of eternity. I’m not sure that Gollum had it right. We perceive time from the perspective of a mortal. This means that we see the flow of time from the inside of the flow. We’re carried along with the current like a cork on the river with little or no control over the speed or direction of travel. We see only the river with its peaks and valleys. But God sees time from the outside. He sees where the flow starts and where it it ends. He knows our exact position at what we perceive as any given moment. He knows where the current will carry us. In God’s eyes, there is no difference between yesterday, today and tomorrow. Sometimes when we’re praying and searching for an answer we wonder why God hasn’t answered or why he allows suffering to go on for so long. I think that the truth is that he’s already acted on our behalf but the flow of time hasn’t carried us there yet. And, that if he had acted in the wrong spot the flow of time would have carried us away from his provision. It’s all a matter of perspective. Our days seem to be spent in such a rush in the modern world. Today has been no exception. One of my goals in life is to get to point where driving is more about the journey than just making it the next destination. That’s probably why I like antique cars. Not only is the body design more artistic but the ride seems to be more relaxed. In spite of rough suspension and so much road noise that you have to scream at each other to have a conversation something just feels right. If there’s a radio at all its probably going to be AM with all the static and crackling of yesteryear. And with that I come to the end of tonight’s journey. Shut down the motor, set the break and refuel for tomorrow. History. The word actually says His story. In the age of automation history is short. 3D printers are set to replace the skilled hands of an old world craftsman. Artificial intelligence is ready to take over the jobs of lawyers, financial planners and even educators. Even doctors are at risk of being replaced by a bot. But even with all the miraculous technology of the near future there is something that cannot be provided by advanced robotics. History. History is more than just a timeline of events. It’s the impartation of life’s energy. Let’s face the facts. Life as we know it is finite. When someone expends the blood, sweat and tears needed to create anything they are imparting their life. The image above is the dashboard of a 1929 Ford pickup truck. The curved surfaces were designed by a human mind. The raw ore was mined by men who certainly expended sweat and blood in the mine. The steel plate was probably stamped out by hydraulic equipment operated by human hands and intelligence. Someone then did the final polishing and another person installed all the little gizmos inside. Yes. This antique dashboard is more than just conveniently shaped chrome and steel embedded into wood. It’s a whole collection of lives and stories. It’s the human experience forged into something that is functional art. No matter how sophisticated the automation software is. No matter how accurate the fabrication robots are. The one thing it can never impart during the process is life. Your writing, your art, everything you do is an impartation of your life. That includes the time you take to visit my images and read my writing. Thank you dear followers for sharing your life with me. It’s a gift that is graciously received. Image was taken at the West Virginia state Fairgrounds in Lewisburg West Virginia which is in Greenbriar County.